American Football‘s third album LP3 comes out March 22 via Polyvinyl, and this one sees them bringing in some pretty high-profile guest vocalists, including Paramore’s Hayley Williams, Slowdive’s Rachel Goswell, and Land of Talk’s Elizabeth Powell. You already heard the song with Hayley, and now the song with Land of Talk’s Elizabeth Powell is here. Elizabeth’s voice works perfectly with American Football’s sound, and “Every Wave to Ever Rise” also sees her singing a line in French. 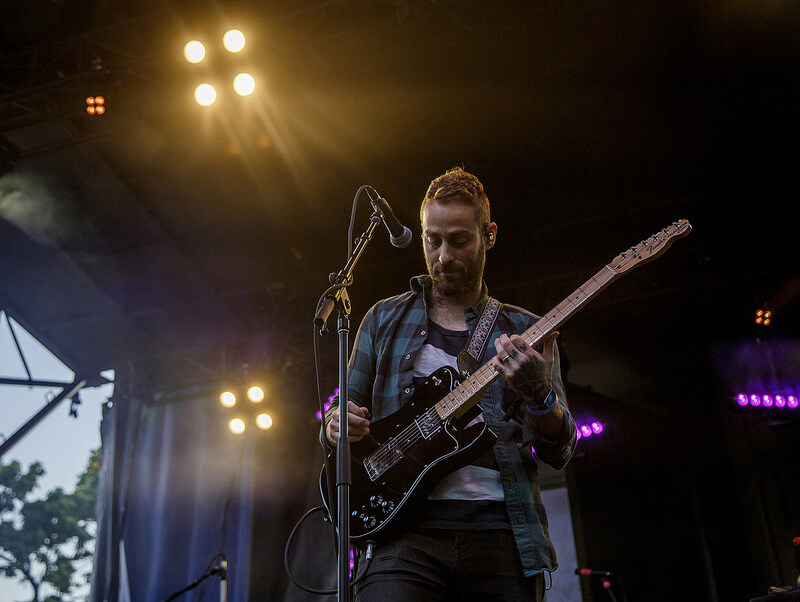 Frontman Mike Kinsella says, “We were all crazy about her voice already, so we reached out to see if she’d be interested and she was! The melody and some fill in lyrics were already written and demoed but once she was on board I thought it’d be fun / add some depth to her ‘character’ by having her sing a line in French. So I wrote some lines and sent them to her, and then she translated them for me in the way a person who spoke French would actually say them. She was so cool and helpful and it turned into literally my favorite part of the album.” Listen below. American Football are also touring, including shows with Pure Bathing Culture, Tomberlin, Illuminati Hotties, Sam Prekop, and Campdogzz. As mentioned, the run with Pure Bathing Culture hits Brooklyn’s Warsaw on May 24 (tickets). All dates are listed below.